Do your underarms, hands, feet, groin, or face sweat excessively? Does it affect your daily life in terms of self-confidence, relationships or career? Laser Aesthetics clinic in Hamilton serving Binbrook offers a non-surgical, virtually painless solution to significantly reduce sweating. All injections are performed by our qualified medical staff under supervision of Dr. McDonald, our supervising medical director. Click here to request your complimentary consultation at our Hamilton treatment clinic serving Binbrook and start treating your Hyperhidrosis. Binbrook clients, please book a complimentary consultation and the medical staff at Laser Aesthetics in Hamilton will fully explain expected treatment options and results. Effectiveness and duration vary from person to person a complimentary consultation will ensure you have a good understanding. Laser Aesthetics is one of the top injectors in Hamilton and all of Ontario: You are always in good hands here. An injection takes a short time to be administered and is done by our fully trained and experienced medical staff. All procedures are supervised by Dr. McDonald, our supervising medical director. 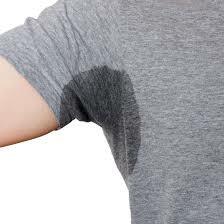 Click here to request your complimentary consultation and start treating your Hyperhidrosis. Binbrook clients, Call us at 1-888-332-9930 OR request a consultation online to get more information about Hyperhidrosis/Excessive Sweating treatment in Hamilton and get started with one of our Registered Nurses.